He was also given exclusive access to human interaction robots including icub, Flash and Husky. 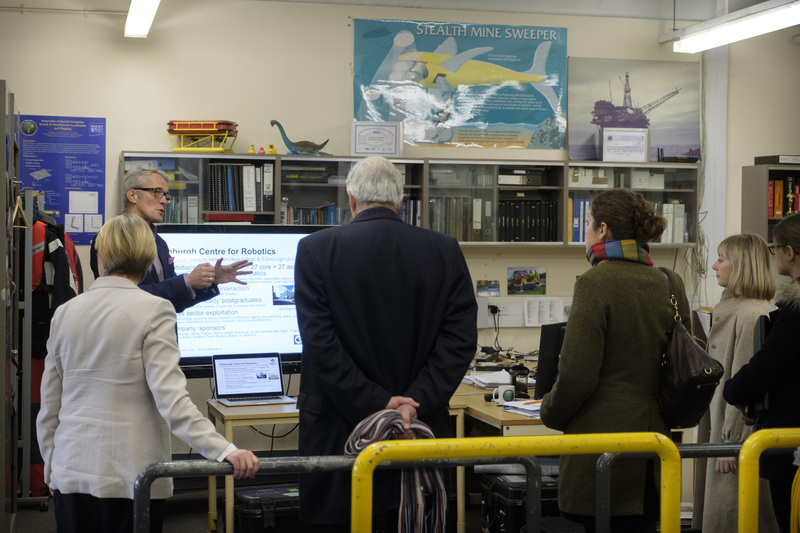 The Minister heard about the fascinating work which goes on and plans for an ‘ORCA Hub’ to develop robotics and AI technologies for use in extreme and unpredictable environments. 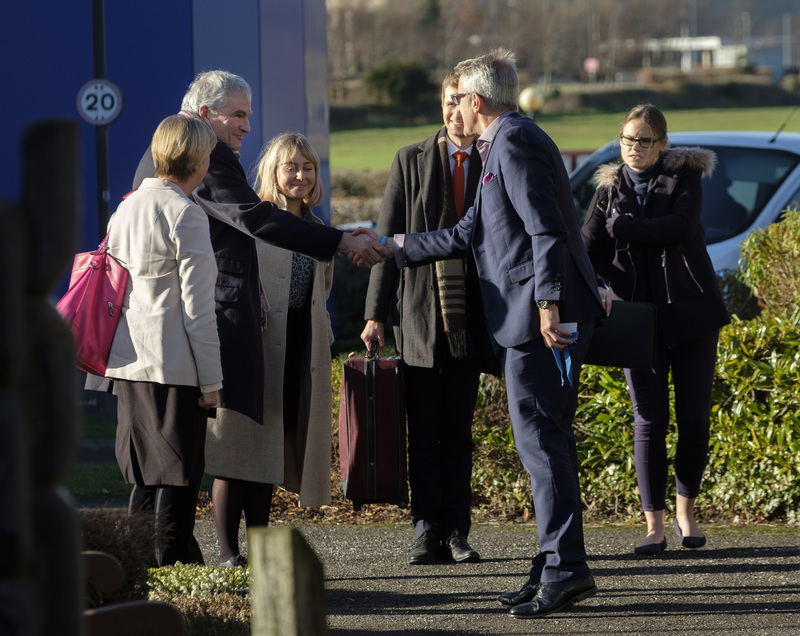 Professor David Lane said: “We were delighted to welcome Lord Henley to see our ground-breaking robotics work. “The significance of UK Government investment on Edinburgh's economy and the global tech scene cannot be overstated. 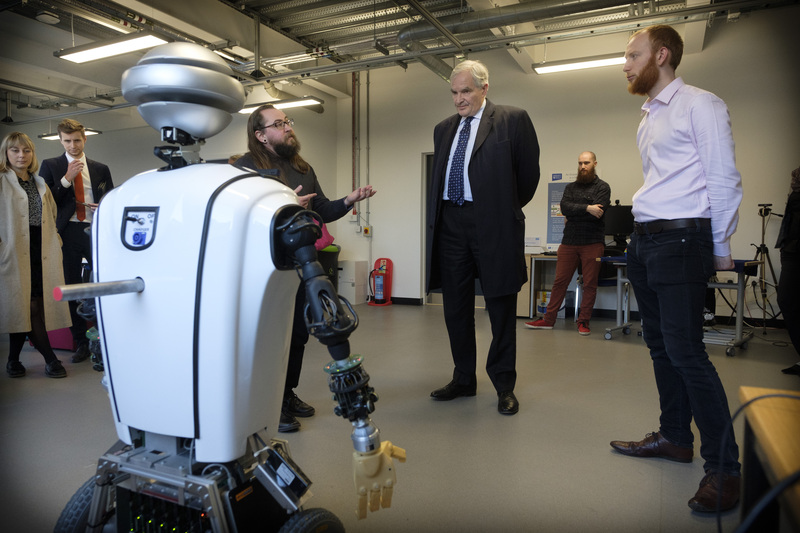 Business Minister Lord Henley said: “Heriot-Watt University is a great example of an organisation investing in the future of the UK and I was incredibly impressed by the robotics and artificial intelligence they have created. 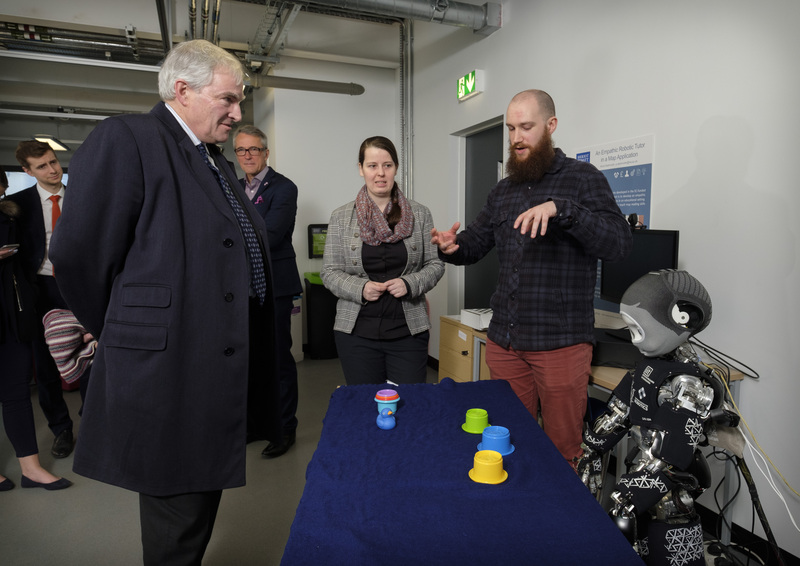 Last year, the City of Edinburgh received funding from the UK and Scottish Governments to open the UK's first National ROBOTARIUM as part of the Edinburgh and South East Scotland City Region Deal. 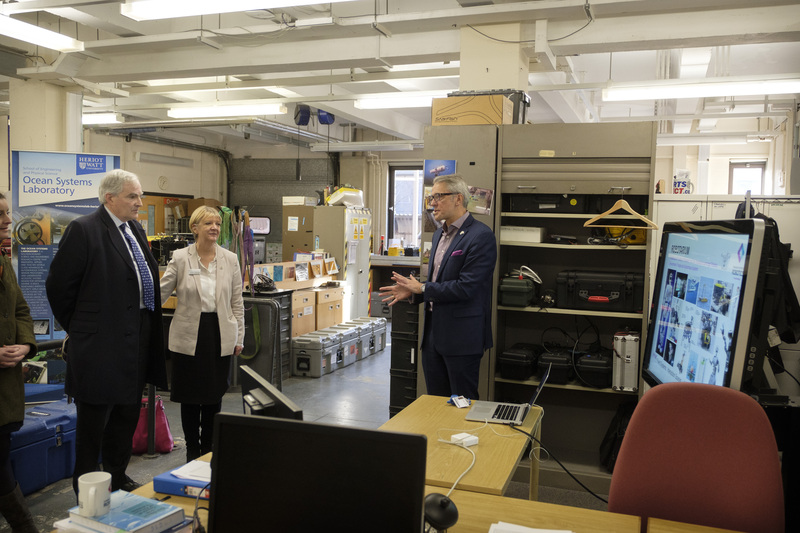 The National ROBOTARIUM is a £100m investment which will build on the existing Edinburgh Centre for Robotics, a joint venture between Heriot-Watt University and the University of Edinburgh. 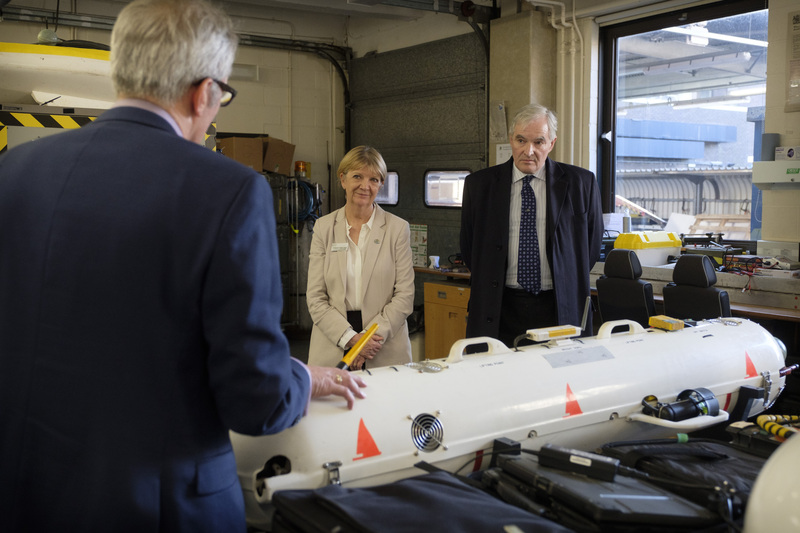 The new funding will substantially expand the current multi-disciplinary team of more than 100 researchers based in Edinburgh, driving forward the development of Robotics and Autonomous Systems technologies to benefit knowledge, companies and employment. The aim is to create a world-class hub, building on the existing research expertise, skills training and industry partnerships. 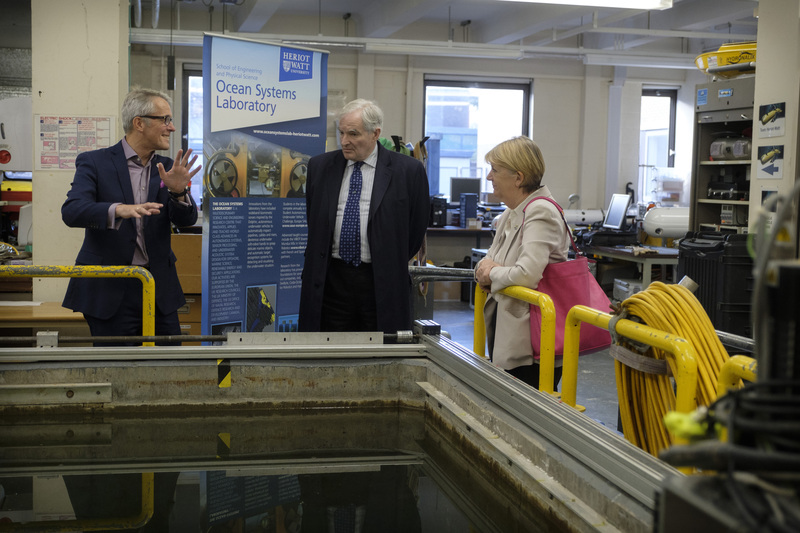 It will help propel both Edinburgh and Scotland to the forefront of the rapidly-growing global robotics stage.